Online Casinos have come a long way since they first started back in 1994. The most noticeable development can be seen by the range of casino games they have added to an online casino’s portfolio. Even an average casino offers more than 300 games and a good online casino never shortens the supply of games to its players. An important issue top Aussie casinos have focused on is that they always include games that players have an obsession with. While pokies, blackjack, video poker machines and roulette represent a dominant part of online casino games, what remains of the experience is conveyed by a couple of different games that are exceptionally well known in their own right. There are a few casino games that are older and more popular and at times more rewarding than be big 4 and Just Aussie Casino would like to take this opportunity to explain each of them briefly so you can enjoy the wide range of casino games available online. Baccarat is played and enjoyed in casinos all around the world and boasts itself as one of the oldest and most popular card games around. Players who have good knowledge on Baccarat gameplay enjoy the game exclusively and define it as a simple game to play. The foremost thing about playing Baccarat is to understand its objective which is very straightforward and simple; you need to predict whether the banker or the player will have a higher card total or have a tie and then bet on it. Firstly, you have to select a suitable chip size from the navigation bar at the bottom. Then you click on Player, a Tie or Banker to predict which side will have a higher card value. The dealer deals 2 cards to the player and 2 cards to himself. A card total cannot be more than nine therefore, if the total exceeds 9, the game automatically deducts 10 from the total; whatever remains is the final total and the game is decided. The rules of Baccarat gets a bit complicated to beginners when we introduce the card valuation and the third card rule so we suggest you read on carefully. All face cards, Jack (J), Queen (Q) and King (K) and tens have a value of 0. Aces are valued a value of 1 and all other cards from 2 – 9 retain their face value. In case the player or banker has a total of 8 or 9, no cards will be drawn further and this case is called a Natural. The bank will also stand on a total of 7 on its first two cards. - The first two cards for the banker values any total from 0 – 7. - The first two card total is 0 – 2. - The first two cards total 3 and the player’s third card is not an 8. - The first two cards total 4 and the player’s third card is not 0, 1, 8 or 9. - The first two cards total 5 and the player’s third card is 4, 5, 6 or 7. Casino game developers understand that it’s tough to follow these rules therefore the game automatically draws the third card if it is necessary. In a busy land casino, the easiest approach to find a craps table is to search for the noisiest area on the casino floor. If you are playing on the internet, then you simply have to look in the casino games menu for the craps tables and select the game to open it. Simply put, the main objective of Craps is to predict the outcome of a roll of two dices. All Craps games follow a set of steps of play. Each round starts with the come out roll and continues until a seven is rolled. If you have never played before you might want to read our guide carefully and try a few games before wagering some money because the rules might seem a bit confusing at first. Players need to follow these steps to understand basic Craps rules. The game of Craps offers one of the widest betting ranges among table games which are one of the many reason players get excited while playing craps. When you are new to craps you should focus on just two bets; the Pass Line Bet and the Odds Bet. You place the Pass Line bet by placing a chip on the Pass Line section of the table. If the shooter rolls a 7 or 11 you win even money. If the shooter rolls a 2, 3 or 12 you lose. Any other number such as 4, 5, 6, 8, 9 and 10 establishes a point. If a point is established then players will win if the point number is repeated before a 7 is rolled. A win on a pass line bet pays 1:1. The Odds Bet wins if the point is rolled before a 7. The amount you win depends on the point. Typical pay outs are as follows. If the point is 4 or 10 you win 2 to 1. If the point is 5 or 9 you win 3 to 2 and if the point is 6 or 8 you win 6 to 5. Scratch Cards are an entertaining game to play, especially because most of them have a theme attached to them. Since its launch, scratch cards have been a source for quick entertainment and instant pay. Scratch cards offer one of the widest ranges of themes with distinctive approaches to win. One of the well-known and most common ways is to match things behind the virtual foil. - You first decide on the price you are willing to pay to purchase the scratch card, which becomes your bet. - When you reveal the hidden symbols by scratching all the fields with a virtual coin by clicking and dragging your mouse over the virtual card. - Online Casinos provide the facility of revealing all the symbols at once through a ‘Reveal All’ button. - You need to match 3 or more symbols in order to win. 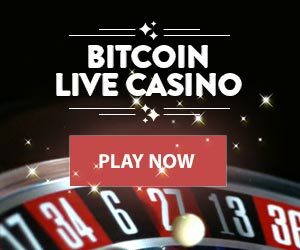 - The payout table is essentially shown on the screen itself and the win amount depends on the symbol you successfully revealed. - The multiplier payout will multiply with your bet amount to reward you your final win. If you’ve been to a casino, you’ve probably come across keno already. It is one of the most popular casino games around and a good reason is that keno requires little to no study, no practice, and a fairly small wager but can still offer a large payout. Widely considered a relaxing game of chance, Keno is just like playing the lottery and follows pretty much the same principle, just the difference is that there are no lines you have to match and it’s just simply picking and matching numbers. - Essentially you buy virtual keno tickets for a certain price, which is your bet amount. - Then you choose up to 15 numbers from a range of 80. The more number you choose, th more you have to match in order to receive a high payout. - The paytable shows how many minimum numbers you have to match to receive a payout. - You click play and the game chooses 20 numbers between 1 and 80 at random. - Generally, the game will display the numbers you have successfully matched. - All payouts are according to the paytable.